Introducing our first Friday Fantasy Feature: On Gossamer Wings! On Gossamer Wings caught our eye while we were browsing through fantasy-inspired work on Etsy.com. Her work is truly unique (we've never seen anything quite like it! ), and we were drawn in by her fun personality (see questions below). On Gossamer Wings is the first artist to be featured in our "Friday Fantasy Feature" series. Keep an eye out for a new feature each week. What do you do? 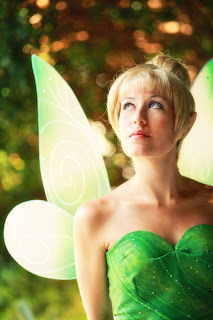 I create singularly sublime fairy wings of stylish originality! If you are pleasure-bent for the finest in fairy "art-wear" made specifically for you, my traffic-stopping, handcrafted fairy wings just can't wait to take the spotlight! Where do you get your inspiration for your work? Over the years (12 of them to be exact), I’ve been inspired by everything around me from autumn leaves to stripey socks…ok, ESPECIALLY stripey socks (they make me happy)!! Anyhoo, some of my favorite artists are Amy Brown, Molly Harrison, Linda Ravenscroft, Renee Biertempfel, and Nene Thomas just to name a few. Their influence can sometimes be spotted in my work. Do you have any pieces that are inspired by fantasy? Or are reminiscent of fantasy? I truly hope so, otherwise I’ll have to get a “normal” job, and for safety's sake, no one should really want that to happen!How did you become involved in your work? Waaaaaay back when I was in college, I was an Art Major, and I developed an affinity for the goth culture…only, I wasn’t filled with quite enough angst. I found that there was a movement of “Perky Goths,” and one of the pastimes they seemed to enjoy was making fairy wings. 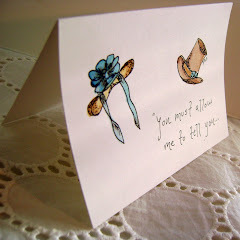 They looked so beautiful in the pictures that I saw, and I found my artistic side crying out to make my own pair. And make my own, I did! And then I made another pair, and another. What made you start selling your creations? Making fairy wings became an obsession for me, and I was swimming in them. It was at that point that I decided that I needed to start selling them or risk losing my dog forever under the piles of wings. What is your favorite item that you make? It varies based upon the day and my overall attitude, but lately it’s been my Moxie wings. I think it’s because they have such a strong Halloween feel to them. 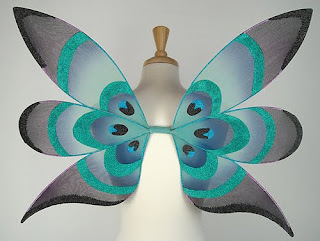 I have a design for a set of peacock fairy wings that I’ve been dying to make, but time is rather short right now. Which fantasy creature is your favorite: fairy, dragon, or vampire? I think I’ll have to go with fairy…otherwise, I’ll have to face legions of upset fae. Ever seen a mad-as-gump fairy? Trust me, you don’t want to! My eyebrows are just now growing back. "When someone makes a decision, he is really diving into a strong current that will carry him to places he had never dreamed of when he first made the decision."